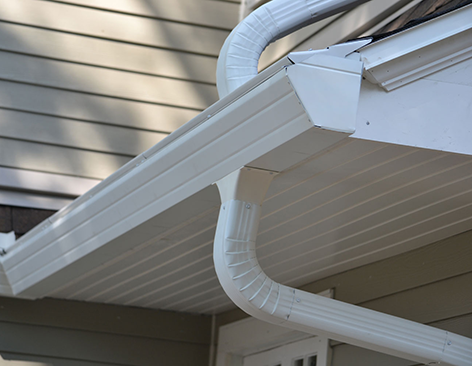 Properly installed gutters and downspouts will keep any home drier and nicer looking. They prevent wear patterns and create greater water control. Frontline Roofing offers installation of high-quality, seamless aluminum gutter systems to whisk water away from your foundation, sidewalks, patios, and other high-traffic areas. Gutters are essential for any structure with a sloped roof. A properly installed gutter system collects the water and diverts it away from the structure. Frontline Roofing provides the highest quality gutters in the industry with the use of the latest in seamless gutter machinery. Through the use of k-style gutters, it is possible to have gutters that are not only functional, but aesthetically pleasing as well. This is a dramatic upgrade over the competition and is what Frontline Roofing is able to provide to every customer.